Last September, I contacted Craig Kulchak about his then soon to be published book My Mountain Grouse I had asked if he would be willing to let me read his book early and do a review here on Solace Through Solitude. Craig graciously agreed and I did my best writing a review that would do the book justice. Since then, Craig and I have corresponded via email on variety of topics; everything from the usual topics of bird hunting and fly fishing to more personal things such as: my upcoming change of station to Alaska and the many opportunities I would have there for outdoor recreation. 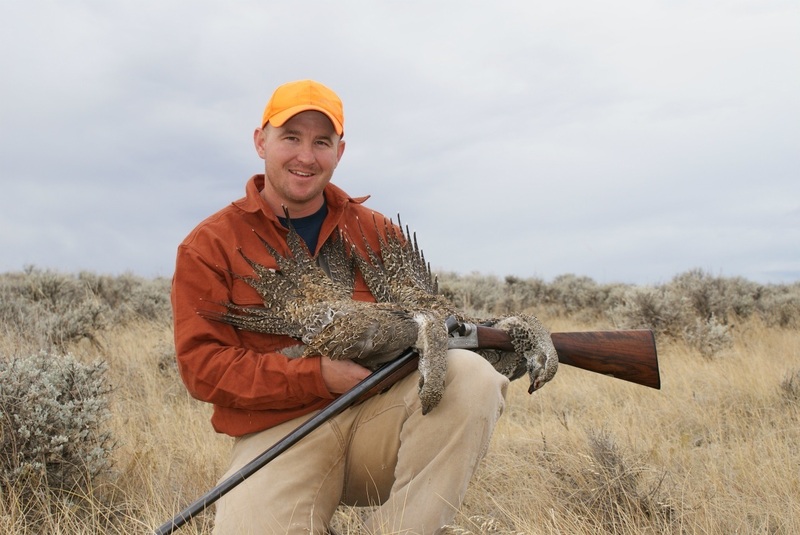 A few months ago, Craig informed me he was working on another book about his time spent pheasant hunting with his three boys and their gang of Setters on the Fort Boise Wildlife Management Area or has as he likes to call it, “The Fort.” Craig asked me if I would be interested in possibly doing another review for him and of course I jumped at the chance. What you will find below is my humble attempt at doing just that. Roosters At The Fort is the third book that Craig has written in the outdoor genre describing his time spent bird hunting with his classic Setters and casting dries to eager trout close to his Boise, Idaho, home. Roosters At The Fort; as the title suggests, is a book about pheasant hunting at a wildlife management area along the banks of the Snake River near the Idaho and Oregon border that has a particularly special meaning to the author. The book covers nearly three decades of pheasant hunting with his sons Nate, Matt, Kip, a few close friends and their pack of classic Setters. Anyone that has hunted a particular piece of property or fished a certain section of river for that length of time can fully understand the love one feels for that land or water. Craig’s love of the Fort is blatantly obvious as you read the stories of his boys and Setters gunning the cattails of the management area. And, who among us cannot relate to having a perfect love affair with a place we gun? Roostersstarts out with a great description of the Fort Boise Wildlife Management Area and the incredibly interesting beginnings as a military fort built to protect the profitable trading interests of the Hudson Bay Company in the early 1800’s, to the fort’s conversion to a wildlife management area in 1959. This book, like Craig’s previous work “My Mountain Grouse” is primarily written from his meticulously kept journals over a course of 26 years of what amounts to some great pheasant hunting with his sons and their Setters. As someone who struggles to pick up the pen rather than a beer at the end of a long day afield, I can certainly appreciate his dedication to those journals. The book is short but sweet at 148 pages, yet contains 5 parts of truly enjoyable reading of his time spent gunning The Fort. The Parts Two thorugh Five are filled with the stories of hunts behind the other Setters that followed Anneca and Beth and allows you some insight into how he introduced his sons to upland life that Craig so obviously cares about. As with his last book, this one is littered with journal sketches which are reminiscent of the sketches that accompanied many of the Old Hemlock books. There are also a few poems from the author as well as some from other more well known writers like William Somerville. These in my opinion, only add more substance to an already enjoyable read. As of this writing, we are 89 days away from grouse season. If you are like me and are searching for a summer read to help satiate your desire for bird hunting, this my friends, may very well be the ticket.